The ACM Awards Are on Tonight — Find out Where and How to Watch, Plus More! Get your cowboy boots on, ya'll — the 53rd Academy of Country Music Awards are tonight! With all the top artists in country walking the red carpet — and taking the stage — it's guaranteed to be a big night for country music. 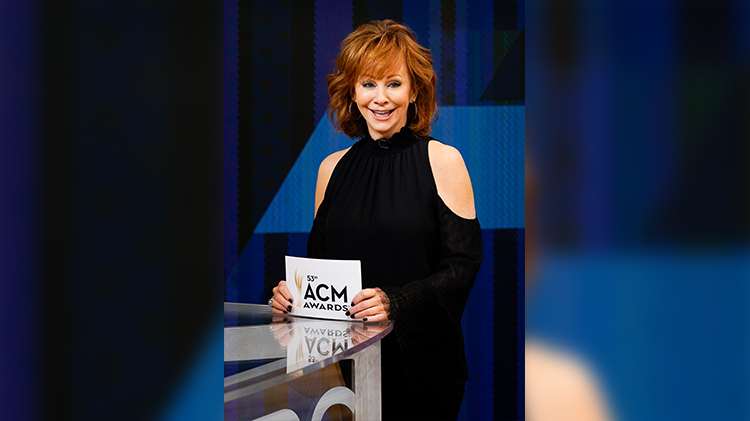 Reba McEntire will serve as the ACMs host this year and Carrie Underwood is making her first highly-anticipated public appearance since the terrible fall she took last year — which resulted in the former American Idol contestant getting 40-50 stitches in her face. But those aren't the only two reasons to look forward to tonight. As usual, all the hottest names in country music will take the stage to perform the biggest hits of the last year. Our reigning Entertainer of the Year, @JasonAldean, performs "Easy" from his brand-new album #RearviewTown this Sunday! What time are the ACM Awards? Tune into the ACMs tonight starting at 8 p.m. EST. Since the show is live, the ACM Awards will be delayed for viewers on the Pacific coast. What channel are the ACM Awards on? The 53rd Academy of Country Music Awards can be watched on the CBS network only. Check your local listings for your local CBS channel. Where are the ACM Awards? This year, all your favorite country artists — Miranda Lambert, Jason Aldean, and Luke Bryan just to name a few — are headed to Las Vegas for the biggest night in country music. The ACMs will be broadcast from the MGM Grand Garden Arena. Who is performing at the ACM Awards this year? Only all your favorite artists! Here's the list of stars set to take the stage: Luke Bryan, Jason Aldean, Kenny Chesney, Dierks Bentley, Lauren Alaina, Kelsea Ballerini, Dan + Shay, Kelly Clarkson, Toby Keith, Lady Antebellum, Chris Young, Keith Urban, Little Big Town, Darius Rucker, Kane Brown, Carrie Underwood, Miranda Lambert, Maren Morris, Blake Shelton, and more. Bebe Rexha will make her ACM stage debut performing her hit song "Meant to Be" alongside Florida Georgia Line. Julia Michaels will also make her ACM debut, performing "Coming Home" with Keith Urban. Where can I stream the ACM Awards? Why watch television when you can stream the awards show live? The show will be available for free streaming on CBS. Viewers, however, will need to make a CBS account. The awards show is streamable among all different kinds of devices — Apple TV, iPhone, Google Chromecast, Android, FireTV, Roku, and iPad, just to name a few. How are the ACM Awards decided? Members of the Academy of Country Music each submit one nomination in several categories: Entertainer of the Year, Male Vocalist of the Year, Female Vocalist of the Year, Vocal Duo of the Year, Vocal Group of the Year, New Male Vocalist of the Year, New Female Vocalist of the Year, New Vocal Duo or Group of the Year, Album of the Year, Single Record of the Year and Vocal Event of the Year. Members of the Academy consist of "industry professionals." After the nomination round, members of the Academy cast two votes in each of the aforementioned categories. The voting continues in a second and then third round until the final three nominees have been determined by votes. Members then cast one vote in each category, the nom with the most votes is the winner of the category.